It’s the most wonderful week of the year–Teacher Appreciation Week! In honor of this one week a year when Americans go from bemoaning those “overpaid babysitters” who “get the summer off forchrissakes” to realizing how demanding and thankless the job of teaching really is, I thought I’d talk about some of pop culture’s most revered educators. 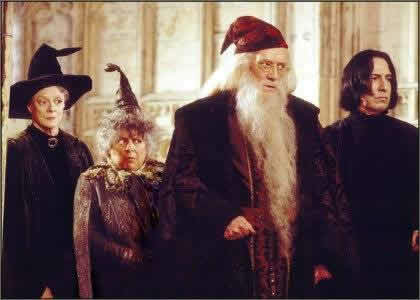 The faculty of Hogwarts School of Witchcraft and Wizardry. I’m going to start off by making a claim that many teachers–but perhaps not many others–have made before. The staff of Hogwarts, on the whole, practices some pretty shoddy pedagogy when it comes to the craft of teaching. They may be skilled and powerful witches and wizards, but the quality of their actual teaching practice is inconsistent, at best. Let’s look at a few individual examples, shall we? Hooch, about to be betrayed by her lack of classroom management skill. We’ll start with Madam Hooch, the flying instructor. In the books, Harry takes great delight in taunting Draco Malfoy about inciting an incident that leads to Harry being placed on the Gryffindor Quidditch team and getting a broomstick as a first year. However, this situation is really caused by Madame Hooch’s poor classroom management skills. 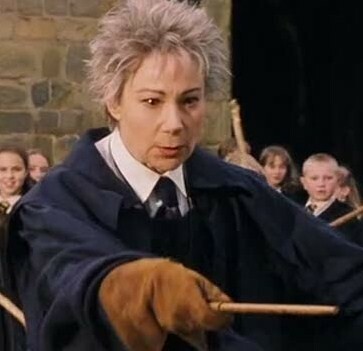 You see, when Neville Longbottom loses control of his broomstick and then crashes, breaking his arm, Madam Hooch rushes him off to the Hospital Wing herself–leaving a group of 11-year-old wizards (who happen to already be nursing some serious rivalries) alone. With brooms. And instructions not to fly under any circumstances. Of course, if Madam Hooch had done things the proper way, Harry wouldn’t have gotten on the Quidditch team and the story would be a heck of a lot less interesting. So I guess literature owes a lot to Madam Hooch’s poor classroom management. No, you’re not perfect either, Headmaster. 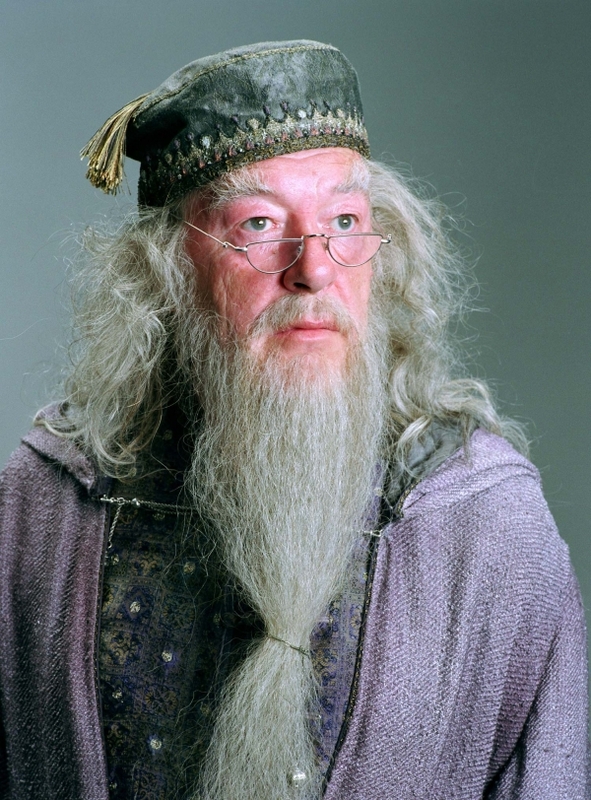 On to the man himself, Albus Dumbledore. Now, I know what you’re probably thinking–“What is she talking about? Dumbledore is a great teacher! He’s a genius!” Yes, Dumbledore is a great wizard. And a great man. And a genius. But he’s not, actually, a great headmaster. Why is that? For one, let’s look at his hiring practices. I know that you can argue he had a great reason for keeping Sybil Trelawney around. And Lupin was a great hire, no doubt. But how do you explain Gilderoy Lockhart? Certainly the Harry Potter fandom has debated this, among Dumbledore’s other questionable decisions (detention in the Forbidden Forest? Seriously?) extensively. Some think that Dumbledore got a huge laugh out of hiring Lockhart. Others say that he figured there was no possible way the guy could be a Death Eater. Okay, so fine. But neither of those are reasons to hire him to teach at your school, Albus! Yes, Dumbledore has many great moments, and often good reasons for doing what he does, and I love him, too. But when it comes to hiring, he’s terribly inconsistent. But, things at Hogwarts aren’t all educational gloom and doom. In my next post, we’ll look at some “pockets of excellence” on the faculty. Next Next post: The Liebster Award!